A Minnesota couple whose son died last summer while participating in a student exchange program in Japan have filed a wrongful death lawsuit against a Spokane-based educational travel company. 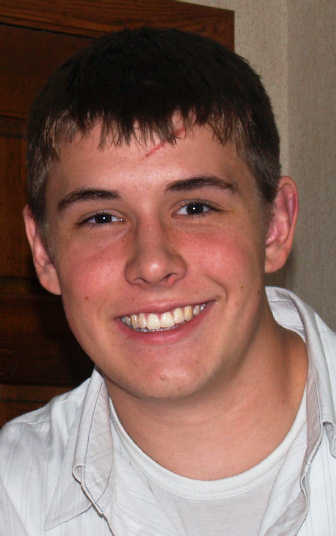 In their lawsuit, Allen and Sheryl Hill, of Mound, Minn., allege that their 16-year-old son, Tyler, died as the result of negligence on the part of People to People Ambassador Programs. The lawsuit alleges People to People denied Tyler’s request for medical attention after he participated in a climb up Mount Fuji on June 26 and instead left him in a hotel room for 10 hours after he began vomiting blood. The Hills also say People to People failed to notify them or their son’s physicians that he had become severely ill even though People to People was aware Tyler had Type 1 diabetes and suffered complex migraines. Tyler was not taken to the hospital until he lapsed into a coma the next morning, Hill said. He died of cerebral edema on June 29 at the Japanese Red Cross Medical Center in Tokyo. The lawsuit alleges that hospital officials said Tyler’s death could have been prevented if he had received immediate medical care. “We are deeply saddened about the death of Tyler Hill last summer and the entire People to People Ambassador Program organization continues to grieve for his family,” Jeff Thomas, CEO of Ambassadors Group Inc., said in a statement. Spokane-based Ambassadors Group operates the People to People travel programs. “We are reviewing the terms of the lawsuit put forth by the Hill family and cannot comment further about the case at this time,” Thomas’ statement said. The Hills’ lawsuit, filed in Hennepin County (Minn.) District Court on Monday, also accuses People to People and Ambassadors Group of breach of contract, invasion of privacy, violation of Minnesota’s medical privacy law, fraud, consumer fraud and making false statements in advertising. The Spokesman-Review reported in October that Ambassadors Group, a publicly traded company, had enrolled 26,200 students in its 2008 travel programs, compared with 37,300 students as of the same date the previous year. On its Web site, the company claims President Dwight D. Eisenhower created the “People to People initiative” in 1956, but the Hills’ lawsuit contends the former president never envisioned the program run by the for-profit Ambassadors Group, where student trips can cost more than $6,000. The lawsuit also alleges that a grief counselor appointed to them by docleaf Ltd., a crisis management company hired by People to People after their son’s death, disclosed confidential mental health information about the Hills without the couple’s consent. The lawsuit reportedly asks for more than $50,000 in damages, $30,000 for funeral expenses and $6,750 for the cost of Tyler Hill’s trip. Sheryl Hill also said she is working with members of Congress to create a bill that would impose safety and reporting standards on People to People and similar companies.